Since the twins marks registered in 1731, Henckels into high-quality, high-performance knives with and consistently grew up in world's leading household brands in the current. Three centuries later the twin mark Cleaver as products representing the Henckels across the border has been widely used. Product description	World's first cooking scissors was born from Henckels. Unplugged traditional techniques and ideas shape does not change now. 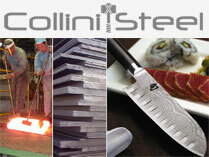 And integrated production from material selection of steel to manufacture superior quality features. Cute design is popular. Sharp sharpness, with the screw. Scissors. Shears.